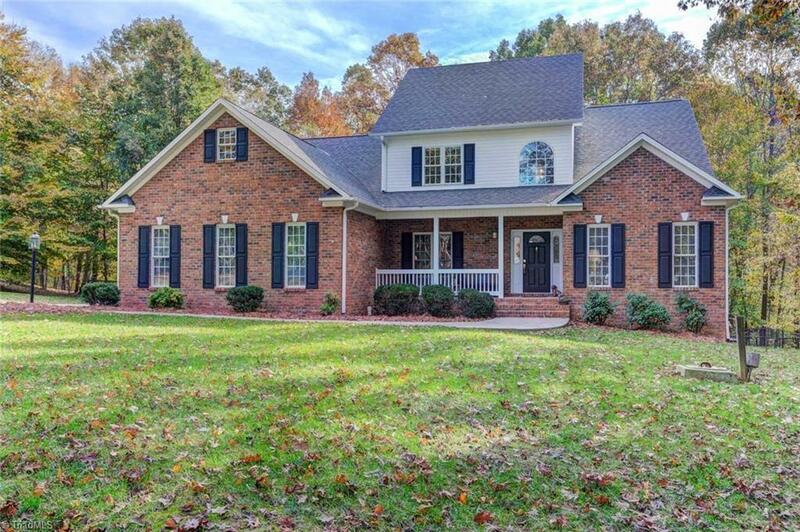 This amazing 3 bedrooms 3.5 bath custom-built home is conveniently located close to interstate. Nestled on a gorgeous 1+ac manicured lot. The main level of the home features the master suite, home office, great room with fireplace, spacious dining room, laundry room & large kitchen. Great outdoor living space with oversized deck and fenced in back yard. Lots of privacy. Each bedroom has a private bath. Hardwood floors. Huge basement for future expansion, storage or hobbies.